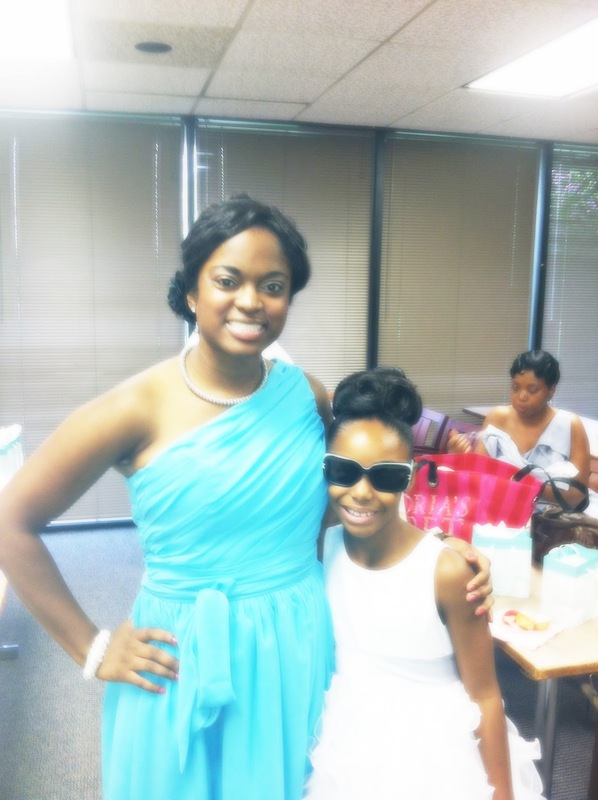 My cousin got married in Atlanta last weekend and it was a beautiful event! I was so happy to be in the wedding and to share the special day with the new couple. 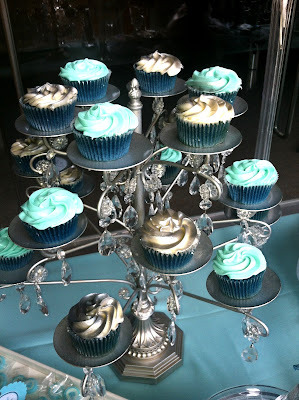 My cousin, Keke, had a Tiffany & Co. themed wedding - yes, brilliant! But they called it Cade & Co. (the groom's last name). 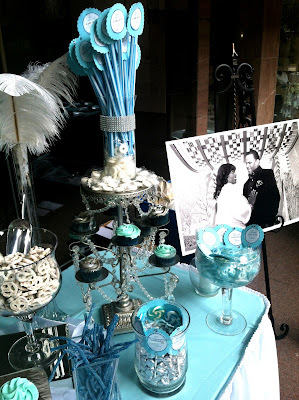 I only love themes when they are done the right way, and this wedding was beyond fabulous. 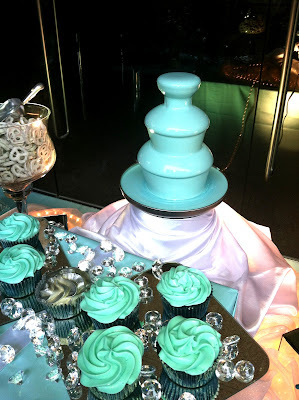 I'll definitely be having a Tiffany & Co. themed dinner/party in the future. Check out some photos from the special day! Tiffany blue chocolate fountain -- this really happened! My little cousin channeling her inner Audrey H.
omg I absolutely LOVE the Tiffany themed wedding!! That is so adorable! The decorations are beyond precious! I hope my future wedding looks this amazing! wow! this is great,I loved every detail! Great blog, and great pictures. 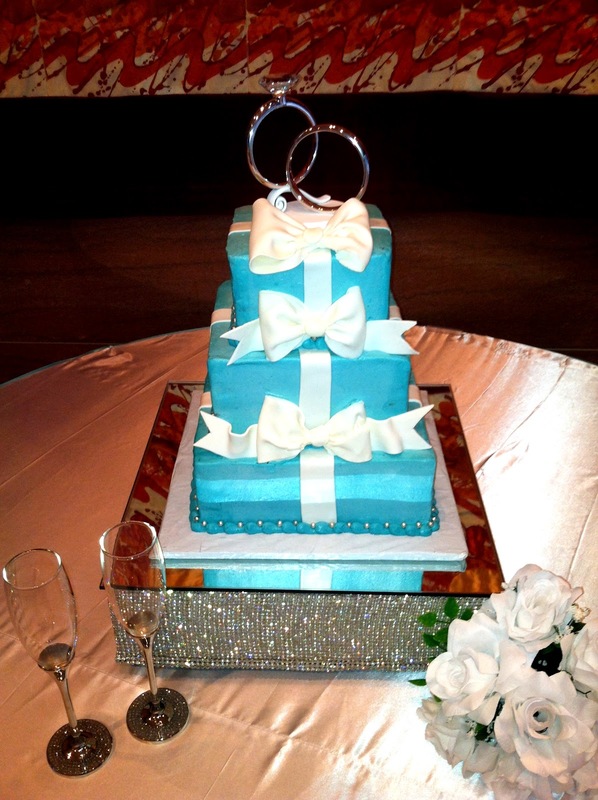 What a gorgeous wedding! I love that Tiffany blue! You two looked amazing. Hey, thanks for stopping by my blog. Love yours and following! Keep in touch. What a cute Idea! The cupcake's and the cake are adorable! How fun!